Congratulations to Patsy’s on 75 Years! 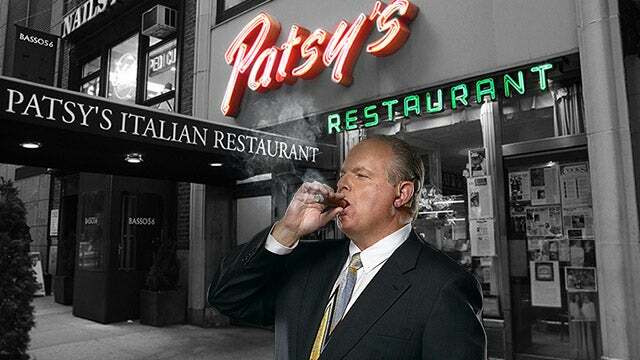 RUSH: I must extend a hearty congratulations to some really, really good friends of mine, Joey and Sal and Frank at Patsy's in Manhattan. It's their 75th anniversary. Patsy's was, among other places, my Italian restaurant in New York. It was Sinatra's. It's on 56th between 8th and Broadway. It's just the most fun place, the greatest people, the greatest staff, and the finest Italian food. And when I lived in New York City, it was a regular, multiple-times-a-week stop, particularly back during the television show days. We'd bop up there with half the audience every day. After taping, we would all end up at Patsy's. We have thrown several private parties there. In fact, I was openly disrespected by Archie Bunker on the second floor at Patsy's -- Carroll O'Connor -- way back in the early nineties. He refused to acknowledge my presence. Paul Sorvino took me aside, "Don't worry about it. You know, he's just bitter about a lot of things. Don't take it personally." All I wanted to do was say hi, and I'm looking at him and it's Archie Bunker! It's Carroll O'Connor. But a lot of things happened at Patsy's, and they are some of the finest people. 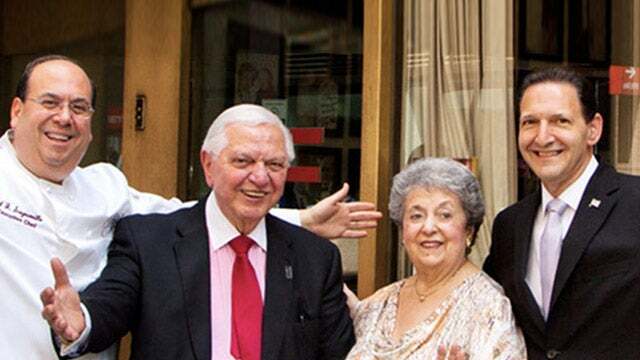 So, if you ever... Those of you who live in New York know about Patsy's, but 75 years in the New York restaurant business and still going strong is a great thing, and I wanted to give them a shout-out today and congratulations for that, again, on 56th between 8th and Broadway.